So you just found out your team made the big tournament – that starts next week. You need pins FAST. What can you do? Call us! We now offer Custom Rush Trading Pins! You no longer have to settle for stock pins with no personalization. 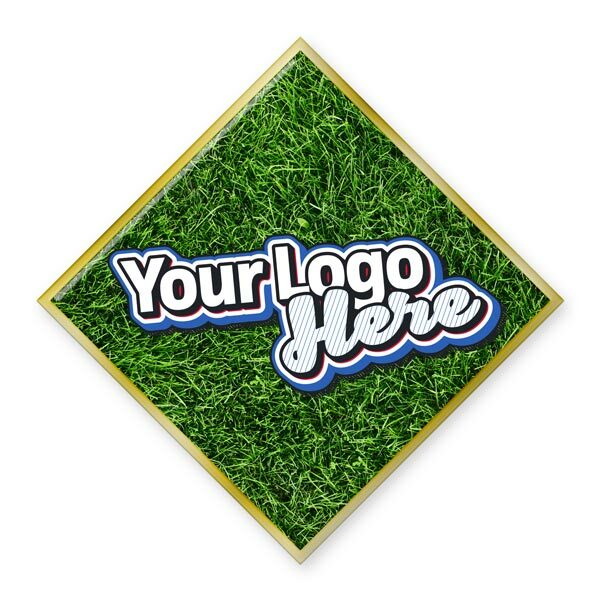 We can get CUSTOM trading pins in your hands in as little as 3 days! Three Stock Shapes! Your Custom Design! 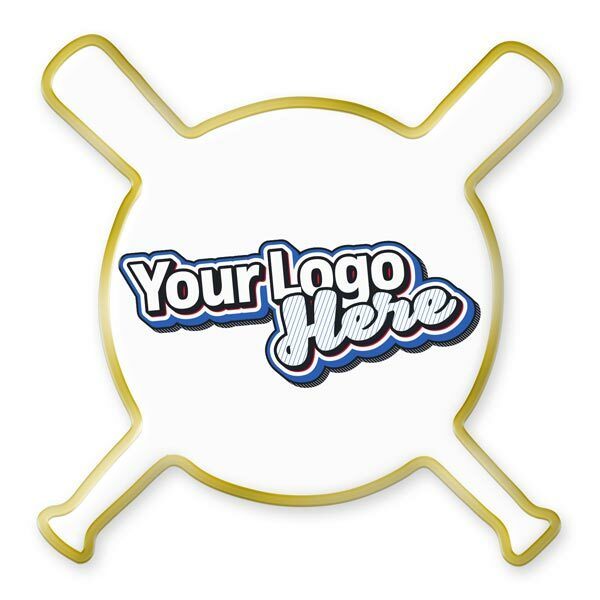 Full Color Printing With Any Design, Logo, Photo or Text You Want! Our new Rush Trading Pins are available in your choice of three shapes – a 1.75” circle, a 1.75” square or 1-3/8” crossed bats. We start with a stamped metal blank, then apply a full color print and a protective laminate. Because it’s printed rather than die struck, your artwork will show more detail. 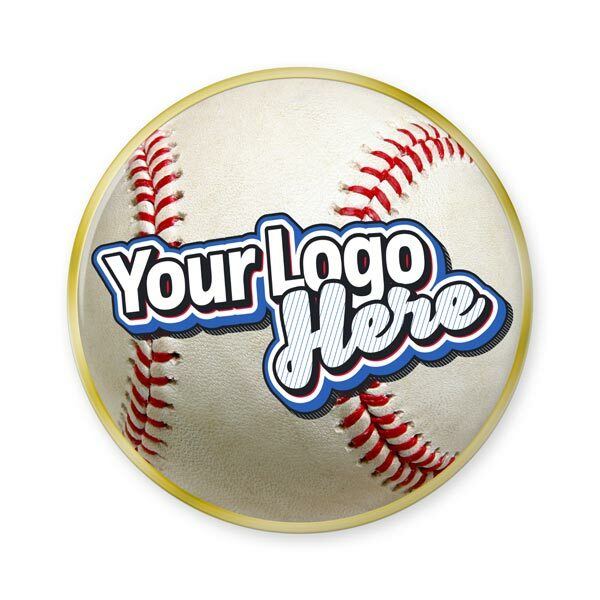 The result is a terrific looking, colorful design with your team’s name, logo or other details ready for trading! These pins feature a butterfly clutch, and are proudly made in the U.S.A. We even bag them individually for you. If you don’t need quick ship trading pins quite as fast, but still need them soon, we do offer other production and shipping options. Contact your sales representative for details. Whether you need pins in 3 days or 3 weeks, we offer a full range of CUSTOM trading pins that will be a Grand Slam when trading starts at the big game. Best of all, you always get the great customer service you’ve come to rely on from us. If You Need Trading Pins Fast, Call Us Now At 866.860.8842! IMPORTANT: If you need RUSH pins, CALL US ASAP! To get your pins to you in time, we must have your order as quickly as possible, in order to give our production facility a heads-up. We look forward to serving all your trading pin needs! Ready to get your stock trading pins fast?